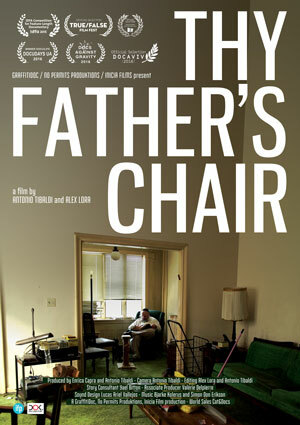 No Permits Produktions : Antonio Tibaldi » Thy Father’s Chair NYC premiere on Nov. 13 at DOC NYC! Thy Father’s Chair NYC premiere on Nov. 13 at DOC NYC! After having screened in world renowned festivals across the world, we are very excited to announce that THY FATHER’S CHAIR will have its NYC Premiere on November 13, at 5:15PM at Cinepolis Chelsea. The film is in competition at DOCNYC, Alex Lora and Antonio Tibaldi will be at the screening for presentation and Q & A! GODKA CIRKA wins Best Cinematography award in Barcelona! GODKA CIRKA Jury finalist at Sebastopol Film festival! Alex Lora and Antonio Tibaldi win Best Director (Doc Short) at QWFF 2015!